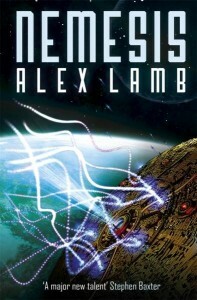 On April 21st this year, Nemesis hits the shelves. 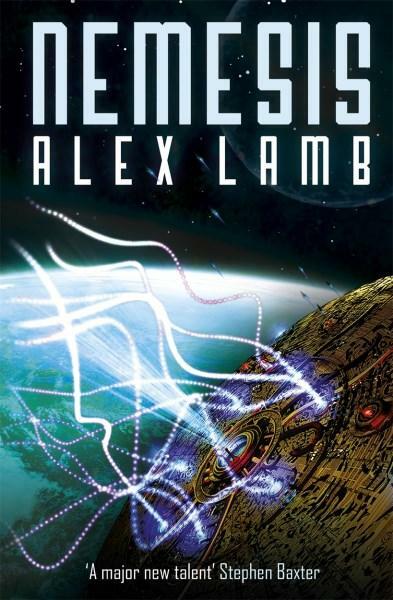 Nemesis is a story that blends cutting­edge physics, evolutionary game theory, environmental speculation, and raw adventure to reinvent space opera for the modern political age. Three ships take on a diplomatic mission to save the human race from destruction. One is defenseless but fast, filled with the finest negotiators in the human race. The second carries as its captain a man armed with powerful alien technologies. The last is a stealth ­ship: silent, invisible, and deadly. The survival of all three rests on the shoulders of one reluctant fleet­ drop­out who happens to be the most talented pilot alive. Mark Ruiz doesn’t believe in himself and neither does anyone else. Except for one man: Will Monet. But Will is the man running the mission. Mark will have to accept his role in humanity’s destiny, convince his shipmates that he’s worthy, and find a way to save the Earth—all before time runs out. If he doesn’t, something is coming to scour human life off every world it can find. Set thirty years after the events of Roboteer, Nemesis begins an epic new cycle of adventure that mixes gritty space­-opera, deep questions about human sustainability, and hard science. The peace following mankind’s first interstellar war has not gone well. Humanity’s well-­intentioned leaders, equipped with unlimited energy and benign alien technology, have still not been able to prevent Earth from sliding toward ecological and political collapse. Fifteen billion people hover on the brink of starvation and people are getting desperate. But before this slow­-motion catastrophe can play out, things get much, much worse. An outlier colony on the edge of human space is devastated in an attack by antagonistic aliens. The interlopers are entirely unexpected, incomprehensibly aggressive, and according to the greatest minds of the age, statistically impossible. Mark Ruiz must unlock the riddle of the aliens’ sudden appearance and find a way to prevent the end of mankind while people from his own side are trying to kill him. Along the way, he will uncover secrets that will change the fate of the humanity and force it to rethink its place in the universe. 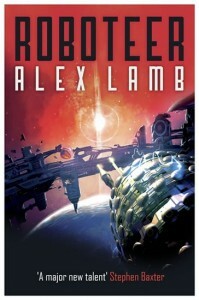 July last year saw the release of Roboteer from Gollancz. Roboteer is a fast-paced, gritty, space-opera that mixes themes of AI, religion, and contemporary ecological politics into a fable that asks the question of what makes the difference between a species that learns to thrive, and one that snuffs itself out. The Galatean starship Ariel is on a mission of the utmost secrecy, upon which the fate of thousands of lives depend. Though the ship is a mile long, its six crew are crammed into a space barely large enough for them to stand in. Five of those are officers, each a genius in their field. The other is Will Kuno-Monet, the man responsible for single-handedly running a ship comprised of the most dangerous and delicate technology that mankind has ever devised. He is the Roboteer. Roboteer is a hard-SF novel set in a future in which the colonization of the stars has turned out to be anything but easy, and civilization on Earth has collapsed under the pressure of relentless mutual terrorism. Small human settlements cling to barely habitable planets. Without support from a home-world they have had to develop ways of life heavily dependent on robotics and genetic engineering. Then out of the ruins of Earth’s once great empire, a new force arises–a world-spanning religion bent on the conversion of all mankind to its creed. It sends fleets of starships to reclaim the colonies. But the colonies don’t want to be reclaimed. Mankind’s first interstellar war begins. It is dirty, dangerous and hideously costly. The hero, Will, is a man bred to interface with the robots that his home-world Galatea desperately needs to survive. Will finds himself on the crew of a spy-ship sent behind enemy lines to discover the secret of their enemy’s newest weapon. What they discover will transform their understanding of both science and civilization forever. By the end of the book, Will’s special skill is all that stands between mankind and total annihilation.